I'm not sure if it's normal, and my idea of black holes have been distorted by Interstellar, but my black holes are extremely bright, and I can only see the black sphere of the black hole when I zoom in really close. Here is an image of what my black holes look like. Actually, it depends on the black hole. You have several types of BH. Try to look for other BH and you will find other forms. jhulet251271, this is normal. Black hole accretion disks are profoundly bright in nature. Giordie85, there is much computational work on black hole accretion disks, including fully relativistic magneto-hydrodynamic simulations with GR, e.g. as seen here. I think that what SE shows is actually well representative of a magnetically arrested disk, though with the limitations like SpaceEngineer said. And yes, there would generally be a huge dust torus around the accretion disk as well. I'm continuing to love Patch 08 and so far everything works just great! There's of course some minor bugs here and there, but nothing horrific and no more crashes than usual. So mad props to SpaceEngineer, who continues to impress! I do have a suggestion about accretion disks, and it's a little different from the last few. What it is is that I think they need motion blur, or at least some sort of fudged version of it. Huge accretion disks look fine, but with the small ones, at all but the absolute slowest of timescales, they spin so fast that, due to their imperfect radial symmetry, they look like they're jiggling back and forth. This sort of breaks immersion insofar as it doesn't look "natural". My suggested fix is to program the texture generator to increase the lengths of the little gas streaks based on the rotation rate, and make them into complete circles if necessary. Also I occasionally get hiccups in the fancy black holes' environment maps, manifesting as lag or angular chunks of solid black, but this isn't major and usually goes away if I hold still for a second. Since it's probably related to my graphics card, don't panic about trying to fix this quickly (but please do keep it on the back burner for next time you're bored ). 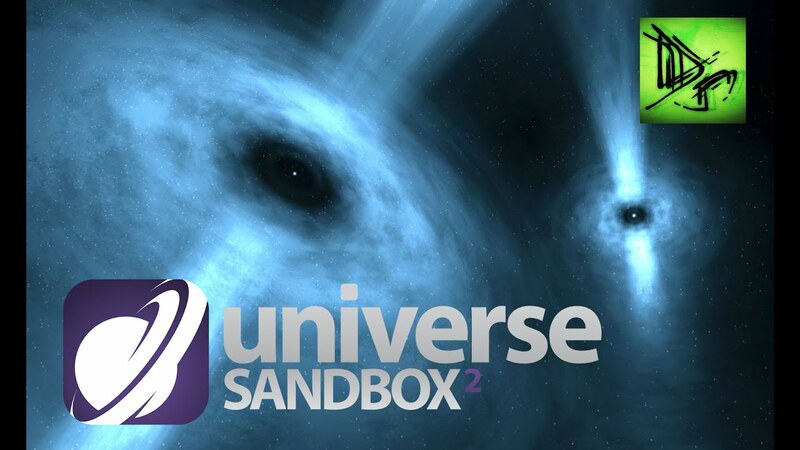 Oh, and if I may make one more simple request: I recently tried out Universe Sandbox 2 and was impressed by the pulsar effect. While I'm sure their implementation isn't entirely realistic (particularly after seeing their black holes), and thus SpaceEngine would do it rather differently, perhaps now that black holes have had some attention it's time to give the pulsars some love too? What's up with the textures on the UI? You must have done something wrong during installation. Is it just me, or Titan has no surface? I know that in the current version there are no textures for Pluto, Charon and Ceres. Titan has a pure black surface all around. You can see this by disabling the atmosphere and clouds, or flying down to it. Yep! It appears Titan's surface is missing as well. With custom black holes you can do this in the accretion disk setting, nothing from then has changed. There is a line in the black hole shader that adjusts the look a bit but it is unrealistic in regards to how fast the disks are rotating. Ohhh, neat! So SpaceEngineer already did put in a bit of radial motion blur! In that case my silly request just boils down to a tweaking of that little parameter in relation to rotation speed. But they do look like that. What is your problem? did you tried to approch the black hole to look at it's accreation disk from close in? It is distored exactly like on that image. Ok, this may be a problem with incorrect build of the zlib for XP. I will check it. My suggested fix is to program the texture generator to increase the lengths of the little gas streaks based on the rotation rate, and make them into complete circles if necessary. This is not as easy as you think. There no texture what could be blurred. The pattern os generated on-the-fly at rendering stage, so "blurring" is only possible by modifying noise algorithm in some way. For example, surpress higher noise octaves closer to the black hole. Updating of the envmap is a huge task for engine, so I made it happen only each few seconds. To fix "hiccups", envmap must be updated each frame, but this will drop FPS to 0.1 on some machines. Envmap for ship's warp bubble is updating each frame, you may check it's performance on your computer. Try also parameter TwistMagn in the editor. I only did this inside the shader to reduce all black holes a bit, if you want to do it for just one I would recommend following SpaceEngineer's advice. To fix "hiccups", envmap must be updated each frame, but this will drop FPS to 0.1 on some machines. Would it help to only update one face of the env map at a time instead of all 6 faces?